Liposuction (“lipoplasty”) is one of the top cosmetic surgery procedures in the country. According to the American Society of Plastic Surgeons (ASPS), more than 200,000 people underwent this procedure in 2010. It is regarded as a safe and effective procedure, designed to slim down and reshape specific areas of the body. Dr. Chin and Dr. Lau are trained and highly skilled in this area of body contouring, and will help improve your figure by removing excess fat deposits through one of several lipoplasty techniques. Liposuction will also help provide better proportion and balance to a patient’s overall shape. As a result, men and women typically gain a higher sense of self-confidence. Liposuction is not intended to replace natural methods of weight loss. Rather, it can be a beneficial solution for individuals who have made numerous attempts to shed extra pounds but still struggle with attaining their desired shape. 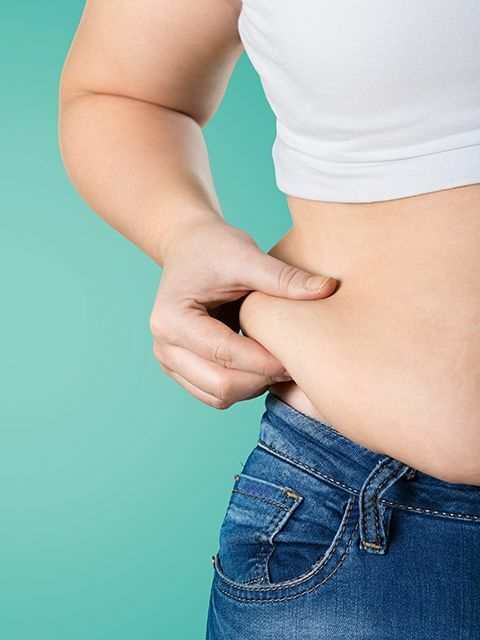 In many cases, the areas of the body that have localized fat deposits are simply a result of genetics (a family trait) versus the incapability of weight control or fitness. Nearly everyone has a particular area of the body that remains unaffected by regular diet and exercise; fortunately, liposuction can provide the patient with final sculpting results. During your initial consultation with either Dr. Chin or Dr. Lau, you will have the opportunity to learn about the specifics of liposuction. This includes information regarding: technique, candidacy, cost, scarring, and the recovery period. In order to have your questions properly prepared for one of our surgeons, please read the information below regarding each of these factors. Do I qualify for liposuction? In order to qualify for this cosmetic surgery procedure, you must have realistic expectations and aesthetic goals. You must also be psychologically and physically healthy; liposuction is most appropriate for people who are of average weight and have pockets of fat that do not respond to dieting and exercise. Your overall body, including the problem area(s) to be targeted with liposuction, will be assessed during the initial consultation. How do I know which technique is best for me? Mastering your problem areas through liposuction can be accomplished by either the fluid injection technique or the ultrasound lipoplasty technique. Local anesthesia (usually with sedation) or general anesthesia may be used, depending on what Dr. Chin or Dr. Lau determines as the safest and most comfortable choice for your particular surgery. Lipoplasty is usually performed using a suction pump device to vacuum away excess fatty deposits. In some cases, a hand-held syringe may be used instead of a pump. Ultrasound-assisted lipoplasty uses energy from sound waves to liquefy the fat before it is removed. The technique chosen for your specific case depends on individual factors that either surgeon will discuss with you during your visit. What should I expect from liposuction? You may anticipate noticeable aesthetic improvements in the areas that were treated with liposuction. This body contouring procedure should not be considered a method for weight loss; however, it can create significant aesthetic improvements. If you do not continue with a healthy lifestyle after surgery, then you will gain weight back in other areas of the body where the fat was not eliminated. This could cause a potential disproportion in your shape. There are multiple factors and fees that contribute to the overall cost of liposuction, including the size of the patient, the area of the body that is receiving liposuction (cost will vary for each region), the surgeon’s fees, anesthesiologist service, operating room fees, and pre-laboratory expenses. The price of post-operative garments and supplies will also add to the total cost of your liposuction procedure. Dr. Chin and Dr. Lau do their utmost to ensure that scarring is minimal. In order to reduce the potential risk of unfavorable scarring, be sure to follow the doctors’ instruction both before and after your liposuction procedure. You can expect to return to work within one or two weeks. Following surgery, you may wear a snug dressing or garment, perhaps for several weeks, to promote skin shrinkage and minimize swelling and bruising as you gradually resume to normal activities.